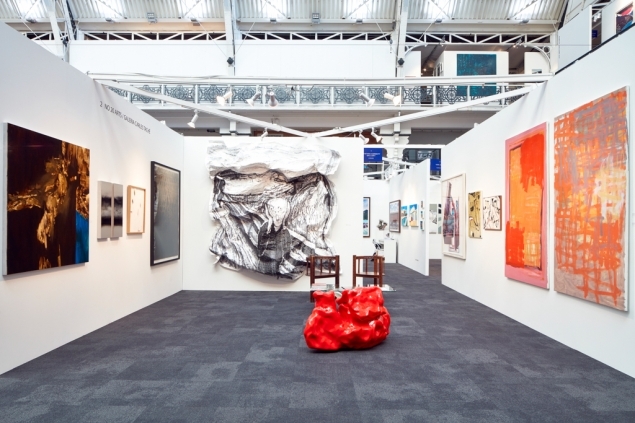 The London Art Fair showcases the best of modern and contemporary artistic talent from around the globe and gives everyone an opportunity to explore, buy and enjoy art. This year’s fair focused strongly on prints, with new work by well-known artists like the Chapman Brothers and David Shrigley. 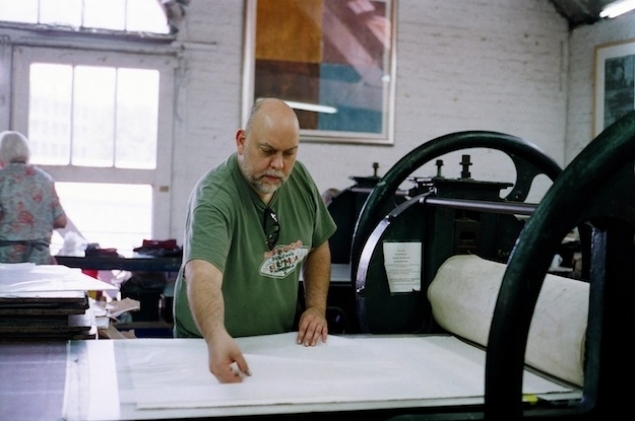 We explore the printing techniques of 3 accomplished Rise Art artists. 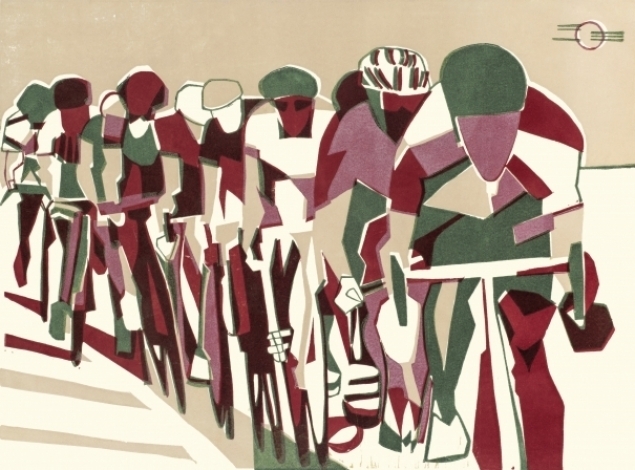 Lisa Takahashi is an artist best known for her bold, geometric linocut prints of cyclists. She is inspired by British Modernism, French Impressionism and the vibrancy of everyday life. 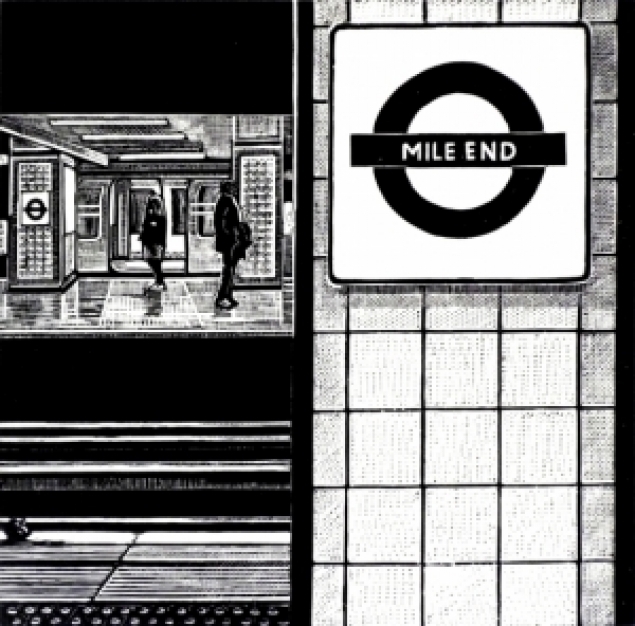 The linocut, like the woodcut, is a relief print that uses linoleum - a material invented in the nineteenth century and used for floor covering - as the surface into which the design is cut and printed from. A relief print is where the artist has to cut or etch into a printing surface in order to ensure all that remains of the original surface is the design to be printed. Takahashi uses etching to simplify - in order to reveal and foreground the patterns and geometry that underly a scene. She creates prints with only 3 colours in order to do this. 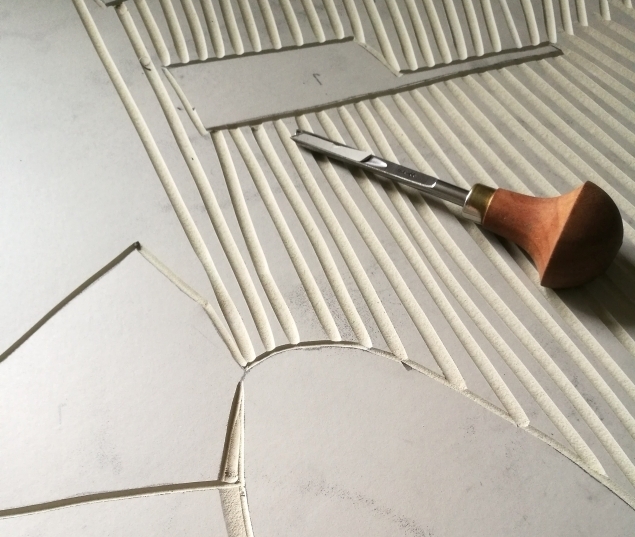 Takashi carves a separate tile for each colour and repeats the process on the same piece of paper 3 times. If you take a close look at her work you can find exquisite detail in its surface texture. 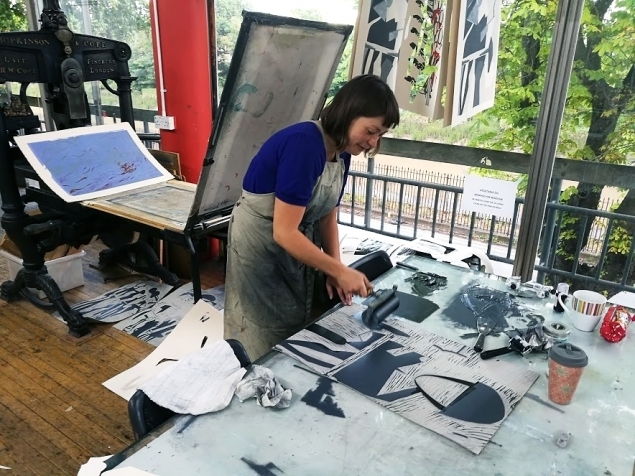 Find out more about Takahashi and the linocut on our blog 'Linocutting with Lisa Takahashi'. 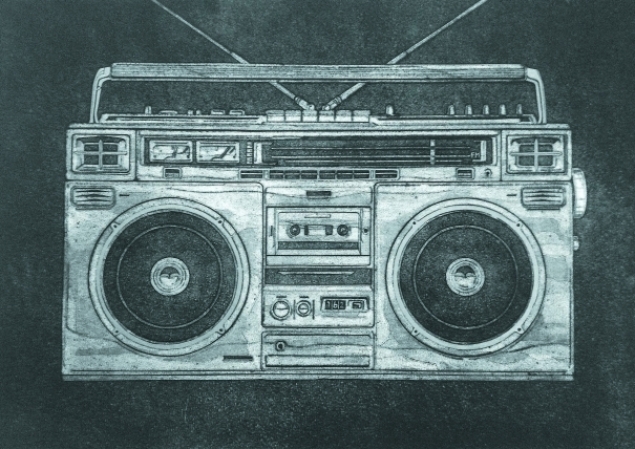 Barry Goodman is a USA-based printmaker who has a passion for all things vintage. 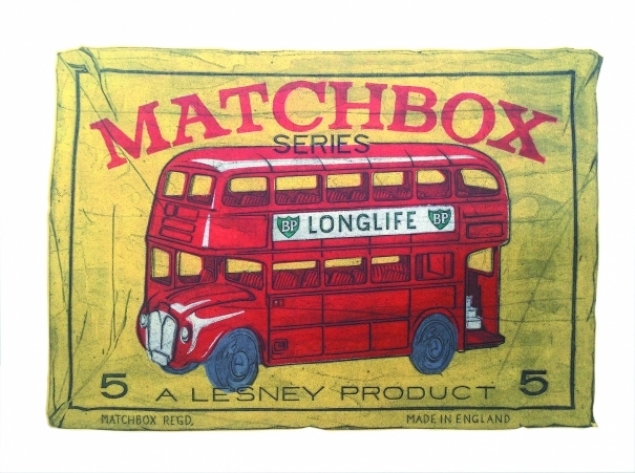 His vintage-style posters are split into three subjects, namely ‘automotive’, ‘architecture’ and ‘stuff’. Goodman experiments with both monochrome and colour prints. Goodman studied Graphic Design and then pursued a successful career in Design and Illustration. 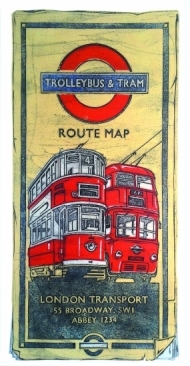 He later studied printmaking at The London College of Printing where he fell in love with the collagraph method of printing. 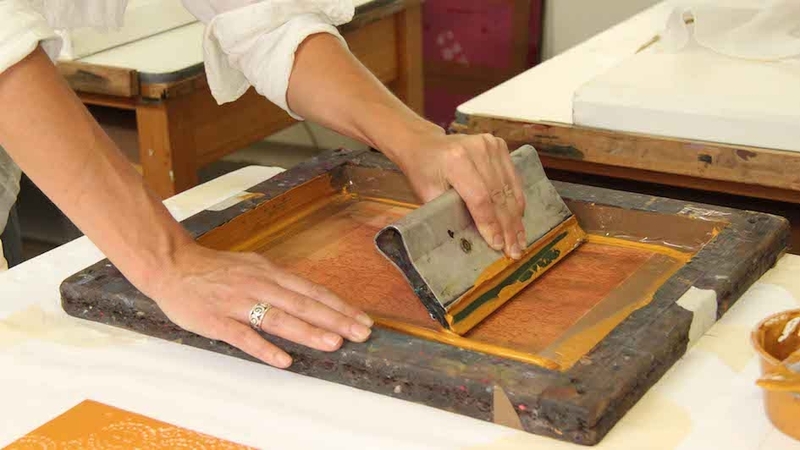 The collagraph is another kind of relief print, and this printing technique can be completed without the need of a printing press, though Goodman prefers to use one (as you can see below). Collagraphs differ to linocut and woodcut prints in that you add to the surface rather than cut away. A highly textured surface with varied tonal effects and vibrant colours can be achieved with this technique. 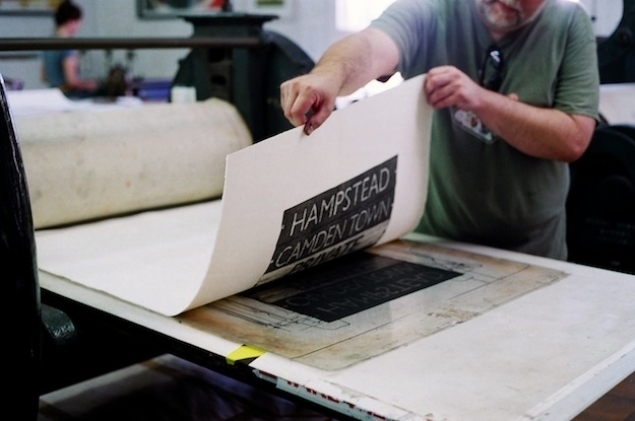 This method of printing enables Goodman to create his stunning, bold and iconic prints. 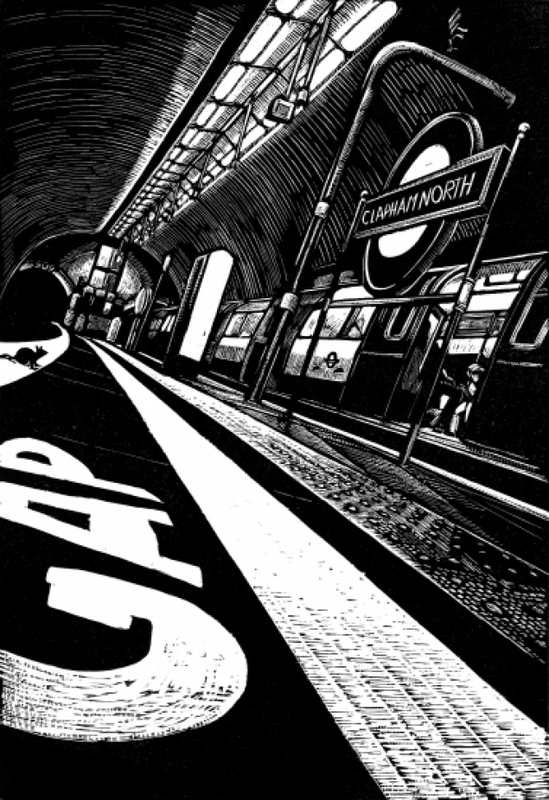 Rebecca Coleman is a British Artist well known for her wood engravings of the London underground. As a regular commuter herself, Coleman prompts people to have new interpretations of the familiar and everyday. 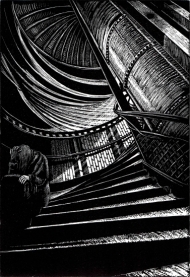 Coleman uses wood engraving, the oldest form of intaglio printmaking and known to be one of the most difficult techniques to execute. Intaglio prints differ to relief prints in that it involved making incisions on a plate, covering the plate with ink and then wiping the surface before being placed in a printing press. 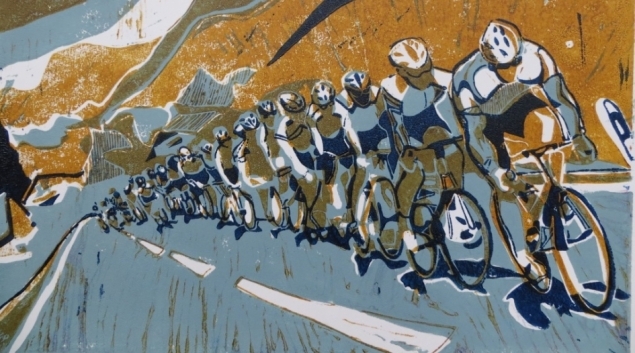 This method results in bold, characterful prints that have landed Coleman exhibitions in some of the most iconic artistic venues including the Royal Academy and the Royal West of England Academy. Bethan is a graduate from the University of Nottingham and has a BA Hons in Art History and English. Her desire to study Art History stemmed from her shift in focus during art A levels from creating art to researching it. 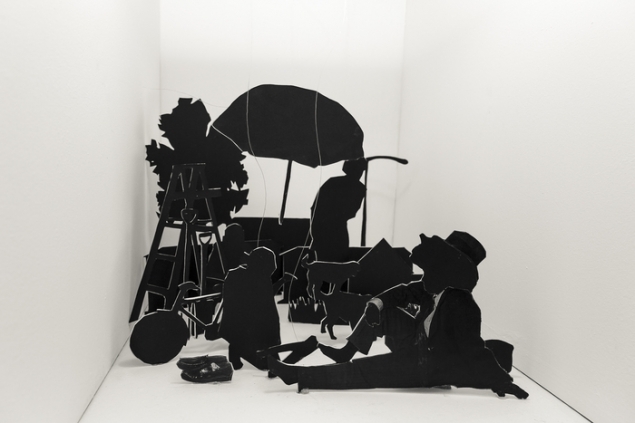 She is particularly interested in the link between art and wellbeing and her dissertation specialised in art's relation to wellbeing through it's ever growing presence in the hospital environment. Throughout University she completed several marketing placements including 10 weeks at award winning Digital Marketing Company Impression Digital.